Stealth liberation is a free shooting game for Windows 8 and 8.1 devices. Again a Sniper game with army theme, but with different gameplay. Unlike other generic Shooting games, this game is about killing the enemies who have captured a village with hostages. A very good game developed by the Rational Games, this shooting game for Windows 8 has extraordinary 3D graphics, and good audio effects. The game is available on Window app store. To install this game, go to the Windows app store and search for the game. Once the search finishes, the installation Window will appear. 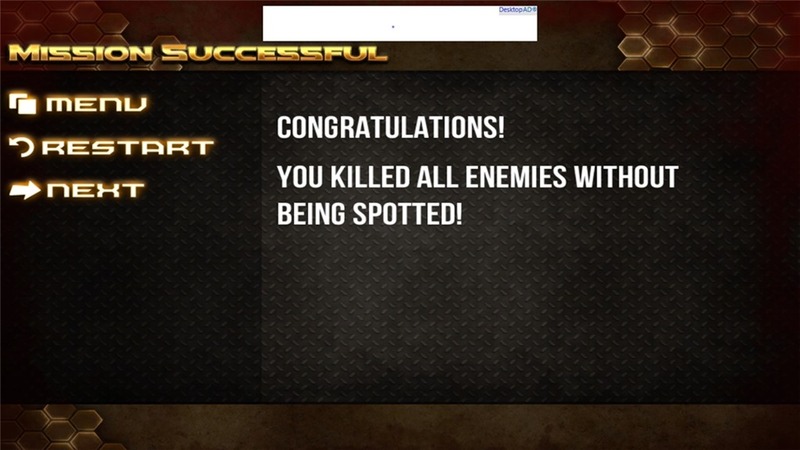 Now to install Stealth Liberation click on the install button and the game will be installed automatically. This shooting game for Windows 8 requires 106 MB of your disk space. This game is also available for Windows based phones and tablets. The gameplay of this game is very easy to understand. As mentioned earlier, this shooting game for Windows 8 is a little different than the generic FPS games. To begin the game, click on the Click to Start option on the home screen. Once you will click the start button, a map will appear indicating the enemy positions. 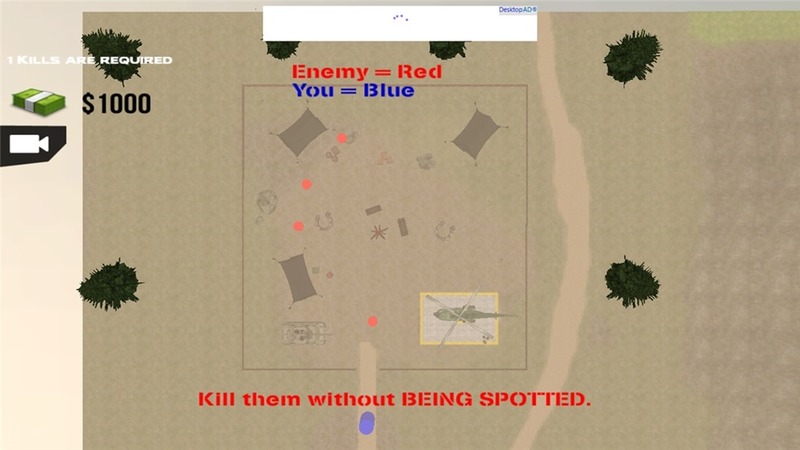 The red dots are the enemies, and the blue dot is you. So, read the map properly to ensure that the enemies do not catch you. The game starts with a village infiltrated by the enemies and you have to kill the enemy troop. The controls of the game are very easy to understand. Use the mouse to change the direction of the camera. 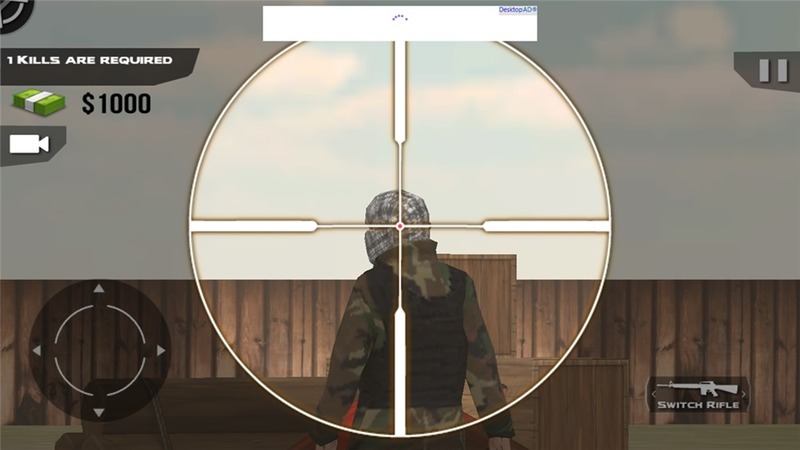 To zoom the sniper, press right mouse key and to fire press left one. To move forward, backward, right or left use the navigation keys. 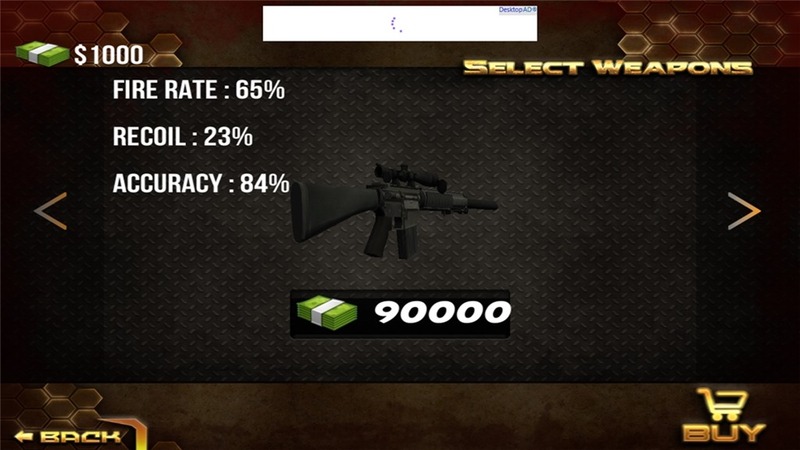 You can also change the weapons using Q key, and reload the weapon using R.
The difficulty level, or the mission level are not mentioned in the game, however on completing mission successfully the difficulty level of the game increases. There is an option of switching the weapon during the game. To do so, you have to unlock the weapons from the weapons store. You can go to the Weapon Store before the game starts. Completing a mission successfully will help you earn money, which you can use to buy new weapons. So kill enemies, earn money, and add new weapons to your armory. For Window based tablets, the controls are fully touch based and can be controlled by the buttons embedded on the game screen. With high definition 3D graphics and extraordinary sound effects, this shooting game for Windows 8 gives you the real feel of a sniper. This make Stealth Liberation a FPS game which is worth downloading. 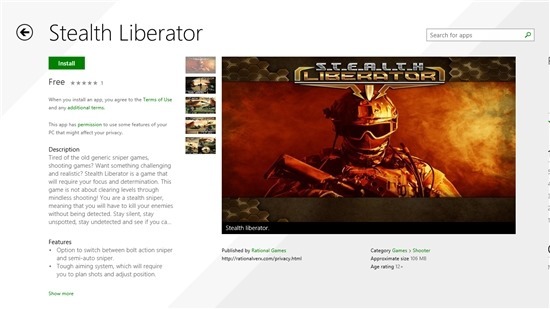 Download Stealth Liberation for Windows 8 and 8.1.